From the bottom of our hearts we want to thank you for the gift of which we could only dream. Our son Viktor lost his hearing aged two after contracting an illness. From the age of three we started taking him to Kiev for diagnostics and tutoring. Perseverance and hard work took us through this long and painstaking journey from the first unintelligible sounds to conscious speech. We changed several generations of hearing aids, and made the goal. Now our son is 19 years old. He studies in college at the same level as his hearing peers. His speech is adequate; his personality undergoes all-round development and growth, and communicaton with peers is there. 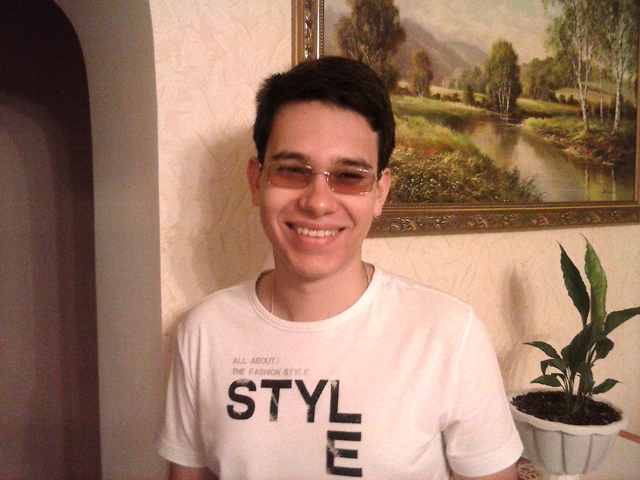 In February 2010 Viktor received his Nucleus 24 Cochlear implant at the Kyiv I. A. Kolomiychenko Otolaryngology Institute. He currently uses the Esprit 3G processor. Sadly, our finances made it impossible to buy a new one. Now, though, thanks to you, our son has the new Freedom processor, which will open to him wonderful possibilities in perceiving and learning the world, and in further all-embracing development. A great thank you to you, Dr. Monika, for caring so much for a stranger’s child from far-away Ukraine. Wishing you long years of well-being and health. Peace and wellness to you and your home. May God keep you from all trouble and reward you for your kindness.